Innovative. Isotonic. Rich in protein. Whey protein meets coconut water. 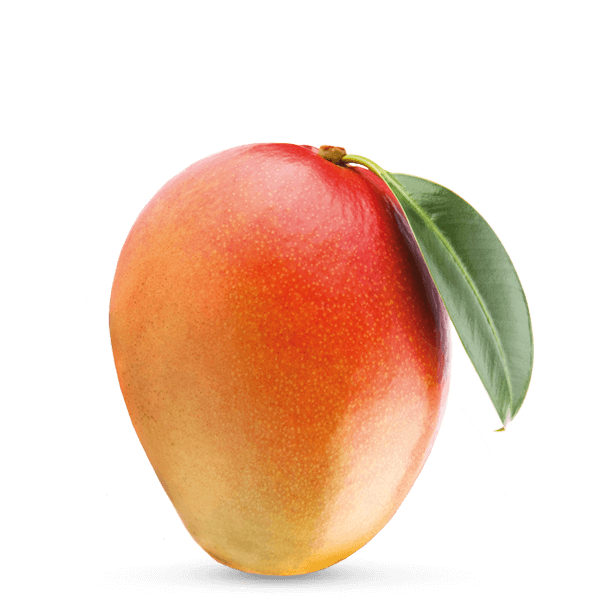 For the most refreshing protein kick you have ever tasted. As effective as your shake. As refreshing as pure coconut water. Made with the whey from the milk from pasture-raised cows and young coconut water from the best plantations in Thailand. All information given per serving (0.33 l). Pure power. Fruity fresh. Pure whey. Protein so clear that it is invisible. There are many sports drinks. Sweet, creamy, full of artificial additives. Not exactly what the body needs after exercise. That is why we decided to question the world of sports drinks and began testing various raw materials to find the ultimate fitness drink. And we did find the answer. As special ingredients we blend coconut water and pure whey isolate in one innovative fitness drink. Refreshing, clear and rich in protein. Coconut water has what your body needs. After a workout, after yoga – or simply after a strenuous day. Coconut water kills performance lows. And tastes incredibly refreshing. We want your muscles to benefit as well, which is why we add 20 g of premium whey protein per serving. We only use coconut water from young coconuts for our CocoWhey. We absolutely never use low quality concentrates. The coconut water is bottled right after the coconuts are harvested – without delay. No concentrate. With the power of young coconuts. Freshness and power. To go. Our young coconuts grow in the rhythm of nature under the glorious Thai sun. The coconut tree traditionally supplies the people of Thailand with many valuable raw materials. Our carefully harvested coconuts are processed the same day they come off the tree. That is how we ensure that the healthy nutrients of the young coconuts remain intact. In order to completely guarantee premium quality, we use only the very best protein isolate from the milk of grazing cows for our CocoWhey. For an extra power boost. After mixing, our CocoWhey is bottled and delivered to us directly. And to you. Protein drink with coconut water and sweeteners. Simply shake and enjoy. Our CocoWhey tastes best when chilled to (+) 2–5°C. After a workout or yoga session. In the summer. When your body needs energy. Or when you fancy something sweet. Our CocoWhey tastes best chilled. Make sure to give it a good shake before you drink it so that you get to enjoy the full protein boost. CocoWhey gives green smoothies an extra protein boost plus vital nutrients, sweetness and a touch of the exotic. A unique taste experience and optimised nutritional content. Upplevde att det blev för sött att göra smoothie av men är säkert jättegod och läskande att bara dricka som den är. My new favorite after workout. Tastes good, but the price is a little to high for me. Like it very< much, though a mixture of all flavours would be even better. Think about it. Coconut water with protein is refreshing, isotonic and rich in protein. Our CocoWhey combines Caribbean flair and natural taste with real health benefits. Each portion contains 20 g of protein. Perfect after a workout. Excellent for weight lifters and endurance athletes. You won’t even need a shaker as it comes in the practical tetrapack carton. That is why our coconut water with protein is also perfect for on the go. Coconuts have been known as a source of natural energy and vitality for centuries. They are a common staple in many regions of Asia: Fresh coconut water, coconut oil, coconut in cosmetics products, coconut as a traditional homeopathic remedy. The list of uses for coconut products is long. Our CocoWhey is a perfect sports drink. 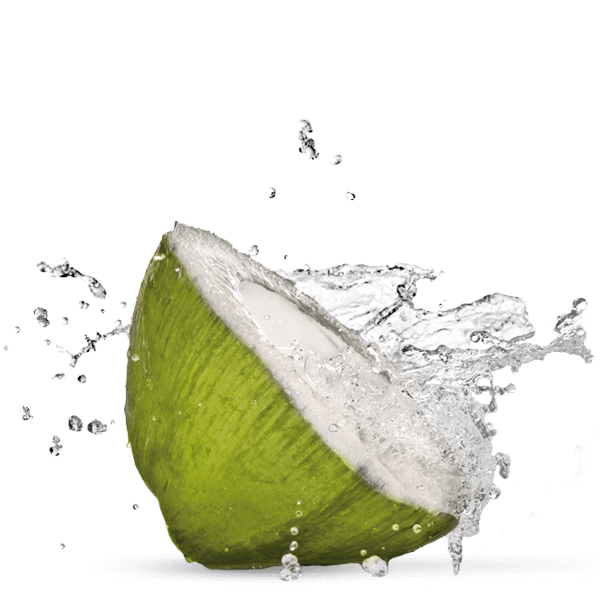 Our coconut water is full of minerals, electrolytes and healthy carbohydrates. They supply the body with essential nutrients and help you to overcome performance lows and regenerate faster. An additional portion of high-quality whey protein is beneficial for your fitness. For our coconut water, we use real coconut water from green coconuts that are processed right after harvesting. You are guaranteed maximised freshness and absolutely no added sugar or artificial flavourings. We do not use coconut water from concentrate. We wanted to create a drink that is isotonic and rich in protein. One that would supply your body with minerals and protein and helps you to regenerate quicker after a workout. But it should also be a drink that is uncomplicated and delicious. We went ahead and researched, tested and tried out a variety of recipes and raw materials. An isotonic drink, whey drinks and a combination of both – but we were never really satisfied. Traditional sports drinks are usually full of chemical additives. After many disappointing experiments, we decided to go look in nature for what we needed. That’s when we found coconut water. Why complicate things if there is an easy solution? 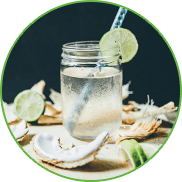 The water of young coconuts naturally satisfies 50% of our requirements: It is full of natural minerals and is already isotonic – plus it has been established for centuries as a valuable and healthy drink in its growing regions. And the other 50%? We have found those right here at home. Premium quality whey protein from the milk of 100% plant-fed grazing cows is the perfect protein boost between meals or after a workout. The combination of our whey protein and the water of young coconuts brings together two very high-quality, completely natural raw materials. Together, they make the most natural isotonic protein drink you can get. That’s why you should buy CocoWhey. 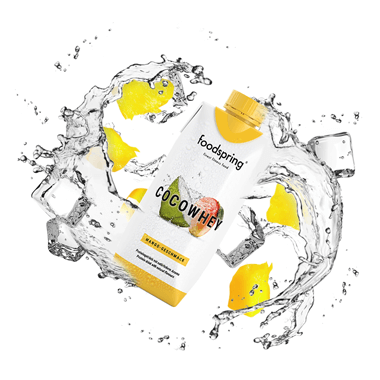 CocoWhey combines coconut water and whey protein ToGo. During stressful phases of our lives, we often fail to take in sufficient amounts of protein.With CocoWhey, that is no longer a problem. Our coconut water with protein in the tetrapack is uncomplicated, easy to carry and super practical. CocoWhey is just what you need if you are travelling light and can’t take your shaker, protein powder and water with you. Our CocoWhey supplies the body with essential vitamins and minerals. The combination of naturally isotonic coconut water and high-quality whey protein is the perfect choice for athletes of any discipline. 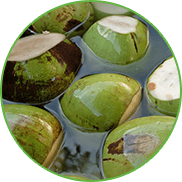 We use only young coconuts from Thailand in our CocoWhey coconut water with protein. They are processed right after harvesting to keep the coconut water as fresh as possible. That is how we can guarantee an optimised nutrient content. Processing the coconuts right way also allows us to forego adding any sugar or chemical flavourings. We also insist on quality harvesting and firmly distance ourselves from the practice of using trained monkeys. Our coconuts are instead harvested by human pickers, who select and harvest the coconuts responsibly. One tetrapack contains ⅓ fresh, young coconut. Right after a workout means before you have had time to mix a shake. You don’t have to mix CocoWhey at all. It comes ready to drink in a practical tetrapack. Just shake the tetrapack, open and drink it right after your workout. CocoWhey ensures a sufficient supply of protein right after a workout. Don’t feel like carrying your shaker with you everywhere you go? Feel like a sweet drink but don’t want to have lemonade? Coconut water with protein is super practical to take with you, quenches your thirst and satisfies your sweet tooth all in one. CocoWhey is also your best bet if you are on the go and need to replenish your protein stores. It is a perfect drink for muscle building and muscle definition phases. CocoWhey is a wonderfully refreshing and exotic ingredient for smoothies. Just one pack delivers essential minerals like magnesium, sodium and potassium. Green smoothies with coconut water have a delightful sweetness and a touch of the exotic. No need to limit your creativity with this ingredient! Try out new recipes and discover your very own favourite smoothie mix with CocoWhey. CocoWhey in muesli? Really? Sounds strange but tastes delicious! Want to start your day at full power? Try CocoWhey in your muesli! An all-round care-free recipe for an energy-filled start to the day! The mix will give you the healthy carbohydrates you need and plenty of protein to kick-start your day. Feel like something sweet? Everybody gets a hankering sometimes. Now you can make your own super healthy, protein-rich ice cream with CocoWhey by foodspring. Just fill some ice cream moulds with CocoWhey and add your favourite fruits. Leave to freeze overnight – and enjoy! Coconut water with protein and fruit is delicious, refreshing and a lot healthier than traditional ice creams. 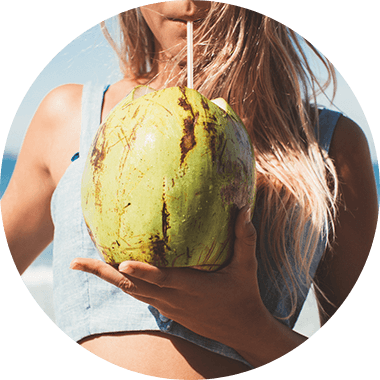 Coconut water and whey protein – how does that fit together? Coconut water is isotonic. It delivers vitality. Coconut water can help overcome performance lows. Whey protein is good for the muscles – that is nothing new. The combination of directly metabolisable carbohydrates and premium protein supplies the body with what it needs during arduous phases and after workouts. And: It tastes incredibly refreshing. For the body and mind. Does the whey protein in CocoWhey work just like a regular shake? Yes. The whey protein in CocoWhey is just as efficient like your home-made protein shake. The advantage: You don’t have to mix anything and don’t even have to carry your shaker. Just pack it, take it, shake it and enjoy! What makes CocoWhey better than all the generic recovery drinks? Most generic recovery drinks are based on artificial ingredients. There is a better way. Therefore, we went ahead and tested, tasted and experimented. And we found what we were looking for: coconut water and premium whey protein from the milk of pasture-raised cows. The combination makes CocoWhey so unique. Does the protein get lumpy in the CocoWhey? No. 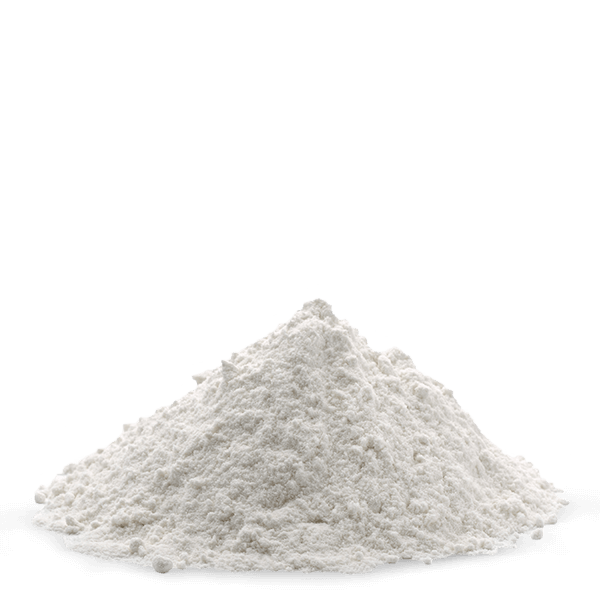 We use only the purest whey protein isolate, which is so clear that it is almost invisible. But since it is a natural protein without any artificial additives, it will certainly not do any harm to give it a little shake before drinking. Then you will definitely enjoy the full benefit of the protein content. Refreshingly pure – no milk taste. Do you use concentrate in your CocoWhey? No. 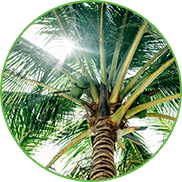 We use 45% coconut water from young coconuts for our CocoWhey. The coconut water is processed on the day the coconuts are harvested and it is then sent to Germany as quickly as possible. That way you receive maximum fresh coconut water. Does your CocoWhey contain sugar? The coconut water from young coconuts contains naturally occurring sugar. We don’t add any more sugar to it. Why do you use whey from grazing cows? Because we believe in 100% quality. For the good of people and animals. 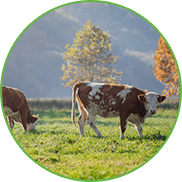 Pasture grazing is not just important for the welfare of the cows – it also improves the quality of their milk. Milk from grazing cows often contains a lot more healthy omega-3 fats than the milk from battery cows. CocoWhey will be back in stock shortly.